Finding housing can be one of the most difficult aspects of college living. From exorbitant costs to inconsistent commutes there are many factors to take into account when choosing where to live. RIT currently houses 39 percent (7,243) students on campus in 2,965 choices ranging from apartments to dorm rooms. This leaves the other 61 percent of students to make their own arrangements. Second year Electrical Engineering student Chris McCrakan is part of that 61 percent. Living about half an hour away from campus, McCrakan has a hefty commute. However, he is still overall pleased with his current living conditions. McCrakan also spoke about how being a Rochester native helped him traverse the unpredictable roads to and from home. He made it clear that it can take a bit of planning ahead and getting used to, for those unaccustomed to winter here. Having a capable car is extremely important to consider when looking at off-campus housing. As McCrakan alluded to, one key part about living off campus is the commute. RIT offers a special lounge to make academic life easier for those with inconvenient travel times. Located in A-650 of the Campus Center is the Commuter Lounge. Here students can find free coffee, lockers, games and printing to make their time on campus all the more convenient. There is even free breakfast on Wednesdays open to morning commuters. Dorman believed that students living off campus would be more encouraged to explore and participate in the local community. This would offer students a greater network in the Rochester area than just that of the RIT campus. She also offered some advice for those looking to live off campus for the first time. Dorman also noted that is important to know the regulations regarding noise violations and complaints for the property. It can be a very different experience for different locations and people. Karl Stone, a third year Mechanical Engineering student, also frequents the Commuter Lounge. He recently transferred from Monroe Community College and currently has a 15 minute commute to campus. “It is nice being a commuter because you have the convenience of being able to change atmospheres and go back home,” Stone said. “I chose this location based mostly on price point." Like McCrakan, Stone did mention some downsides to commuting. That being said, Stone seemed confident that he made the right choice to live off campus. By being a transfer student he did not need to live in the dormitories. Even though he has never had the experience of living on campus he seemed to not feel as though he was missing out on anything. The Commuter Lounge is open weekdays from 8 a.m. to 8 p.m. 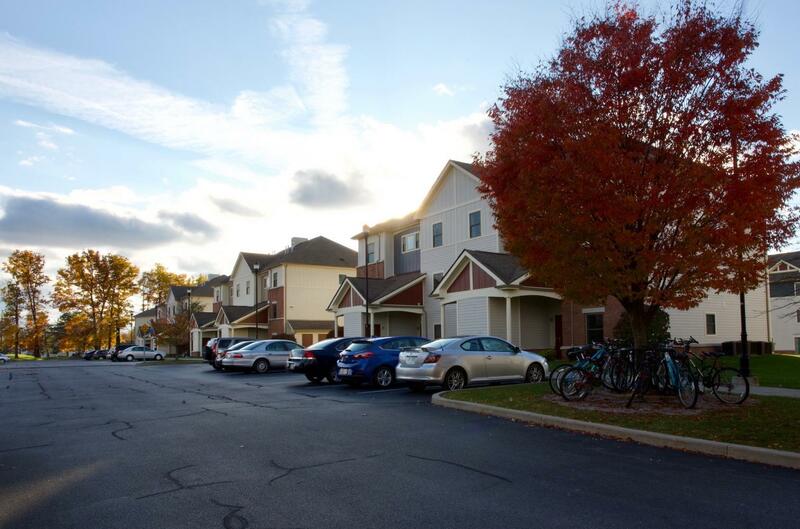 If living off campus sounds at all appealing, RIT currently has partnerships with eight off-campus housing organizations: Park Point, The Province, Greenwood Cove, Chili Heights, Riverton Knolls, Bennington Hills, Henrietta Highlands and Crittenden Way. All eight come together for a yearly Apartment Fair in early April. The Lodge, a relative newcomer, is another housing option that caters to RIT students. Listed below is some additional information to get you started. Park Point is the closest off-campus housing option, barely earning the title by being only a 10 minute walk from the academic side of campus. Prices range from $769 to $1,464 per month and options vary from one to four bedrooms. A gaming lounge, pool and small gym are offered to all members in the clubhouse. The property centers around the Barnes & Noble strip, even offering apartments directly above some of the nested shops. There are two bus stops serviced by RIT in Park Point. Just a few minutes' further walk than Park Point is The Province, offering year-round living accommodations to students in apartments ranging from one to four occupants. A pool, small gym and lounge area, all located in the center of the property are open to all residents. Prices range from $749 to $1,309 per month. A convenient RIT bus services these apartments frequently. Both Park Point and The Province are owned by American Campus Communities. They supply their own service and security to these complexes. Both offer half off of RIT parking passes as well. Located by the Genesee River, Greenwood is a six minute drive from campus. Small living spaces are offered here holding only one or two beds. This does not count the pet bed as small pets are allowed here. Holding a similar architectural style as RIT’s own Colony Manor is Chili Heights. It is a 10 minute drive from campus located unsurprisingly off of Chili Ave. It is another pet-friendly living situation for all sized furry friends. Prices range $775 to $1000+ for between one and three bedrooms. Riverton Knolls is an eleven minute drive from campus. Apartments here range from the simple single studio to the two-and-a-half bath three bedroom style. This apartment complex, like all other Morgan Community housing options listed here, also welcomes cats and dogs. Offering a barely functional website, Bennington Hills is a six minute drive from campus. Apartments hold a New England architectural style, with some even holding a fireplace. They offer a fitness center and lounge to all members. Apartments range from singles to three bedrooms. Henrietta Highlands is 12 minutes from campus. Offering only one or two bed accommodations costing $795 and $852 this can be a simpler option than others listed. 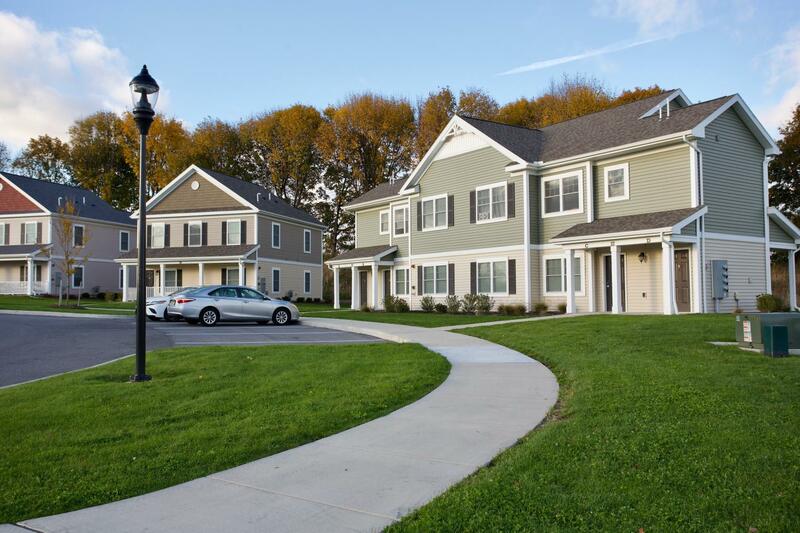 Greenwood Cove, Riverton Knolls and Henrietta Highlands are all operated by Morgan Communities. As with the other properties owned by them, pets are welcome. Crittenden Way, located not far from the iconic Jay’s Diner and Rochester Movies 10, is a six minute drive from campus. Members are welcome to use the included pool, tennis courts and workout room located by the main office. About a five minute drive down East River road, The Lodge provides a bus service to and from RIT. 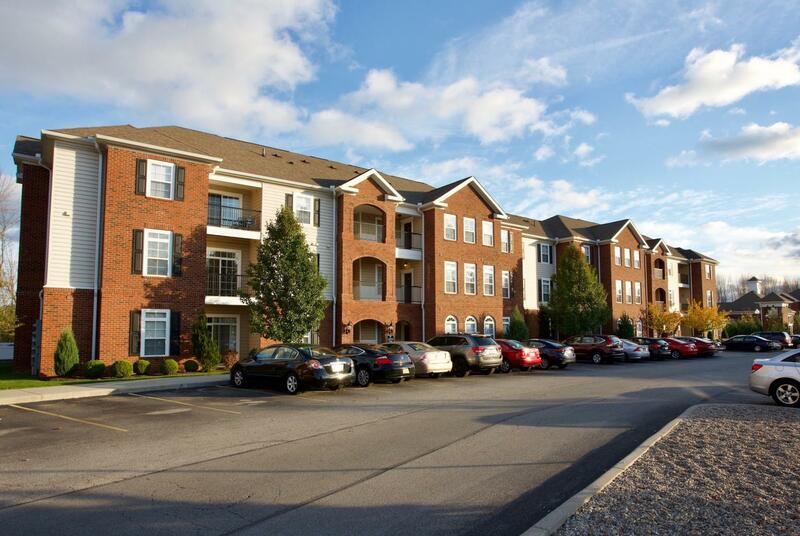 The apartment complex also offers a variety of room options, with rent varying from $770 to $1205 a month. The Lodge is another pet-friendly option as well. Finding an appropriate roommate may also be a large hassle. According to a poll done by Niche (that included RIT), 31 percent of roommates met through a Facebook ad. This was the number one way to find a new roommate by those who answered the poll, surpassing even already-known acquaintances by three percent. RIT helps this growing trend with their “Housing” and smaller “Rochester Institute of Technology (RIT) Housing, Sublets & Roommates” Facebook pages. At the time of publishing, these pages had over 5,300 and 3,000 members respectively. With RIT’s housing Facebook pages getting updated rapidly, they offer a simple way for students to reach out to the community about housing needs. Any current student can use this as a way to look through student housing opportunities instead of looking through RIT. Overall, living off campus is a choice entirely up to the student. There are many responsibilities that come with renting an apartment. From hidden fees to renter's regulations it can be a confusing time. If these aspects are outweighed by the possible savings and extra freedom, then off-campus housing may be a good decision. Rochester is a large community, offering many more housing options than just those listed here.